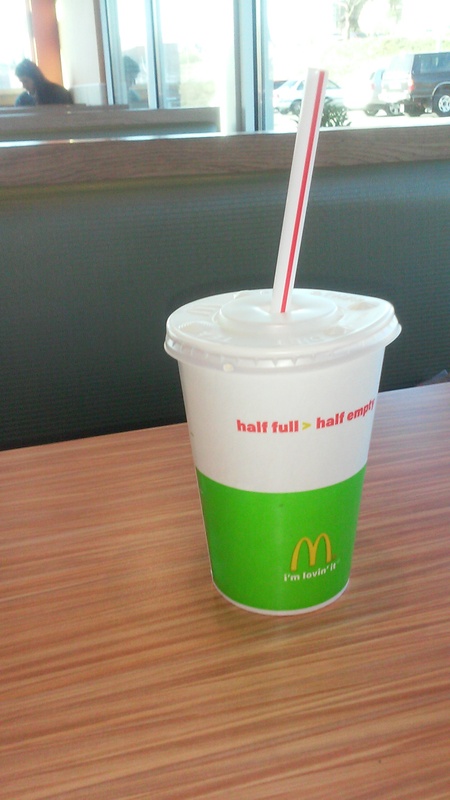 Happy McDonald’s Day – Live. Simple. Good. Jack was up at 3am this morning! I put him back to bed but he stayed awake until 4:15 – then woke up at 5:15… so pretty much I’ve been up for a loooong time. As a mother I come to find, on a regular basis, that our plans don’t quite work out the way we imagine. 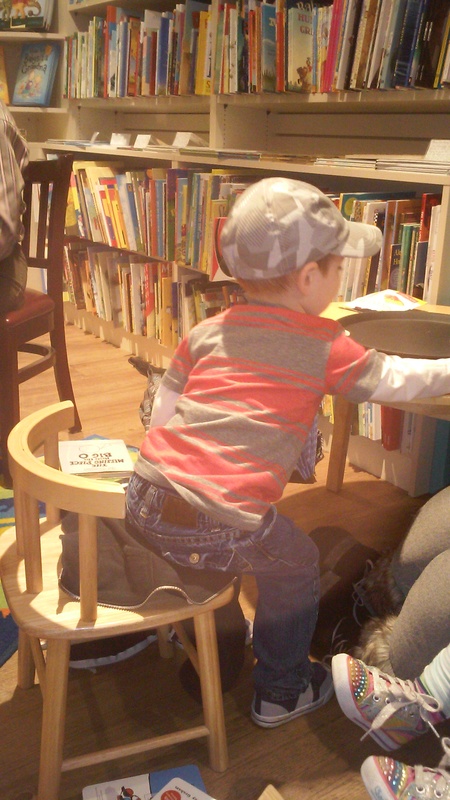 This afternoon we met up with friends to try out a reading hour at a local bookstore/ coffee shop I love. It was a bunch of sweet little girls and then our 3 little boys – who were much more busy and distracted than everyone else. So our relaxing mom time did not really happen. My friend left after a few minutes and we stuck it out for a little while longer… then I barely caught Jeff running out the door… he has never done that!! Ah! After packing up I decided a good way to end this tiring day was to celebrate McDonald’s Day… sometimes we just need fast food. We were all a little crabby so it was a good end to the day. 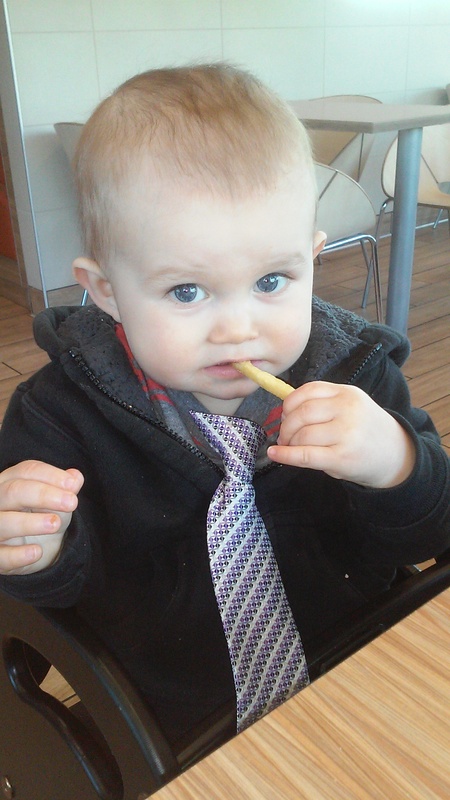 Jeffrey wore his tie out and then put it on Jack while we were eating… cute! 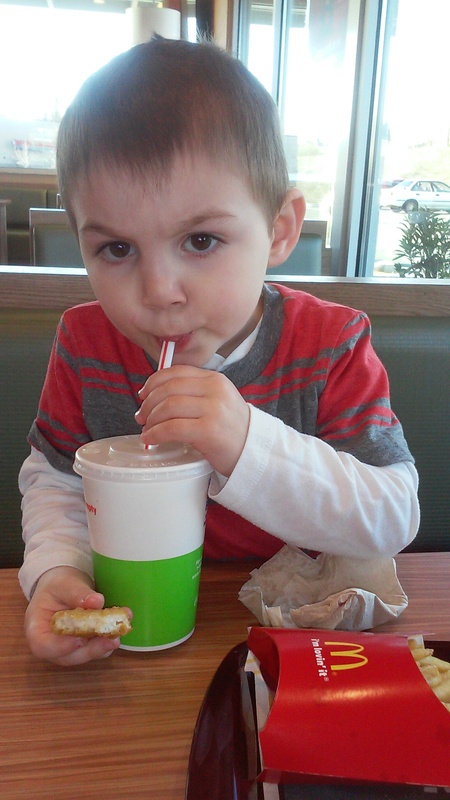 Enjoying his fries.